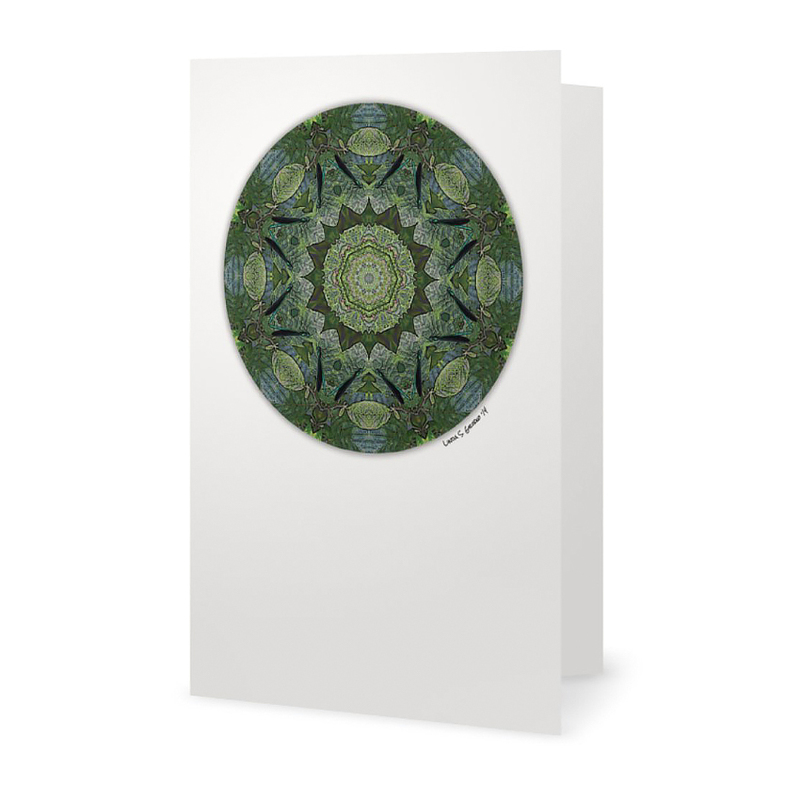 This mandala note card is a Milkweed Rising exclusive and is printed from an original photographic illustration. 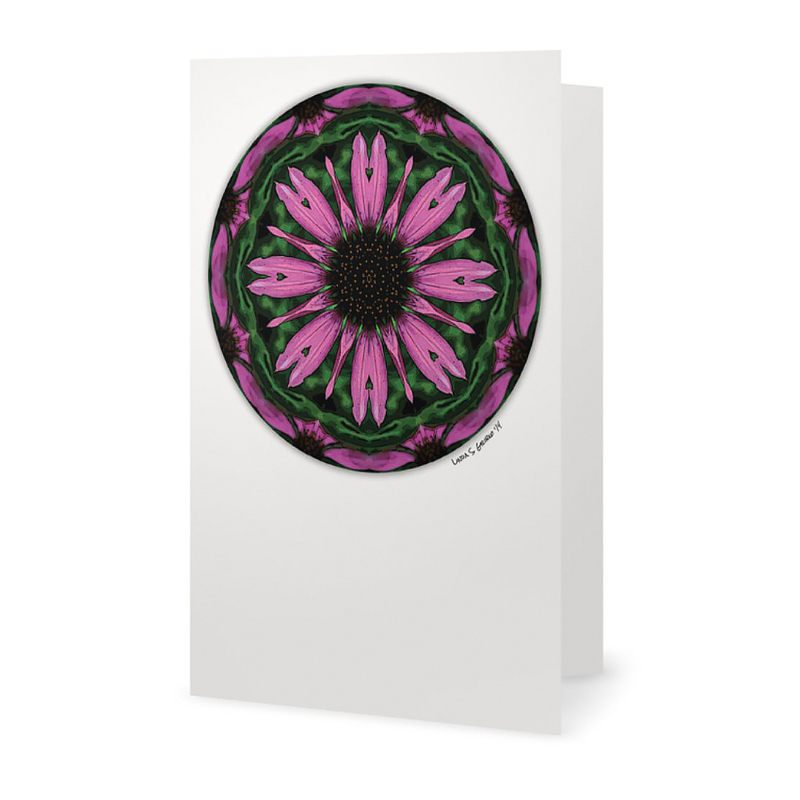 There’s nothing too complex about Coneflower of Love, the mandala I created from a photo of a slightly tattered purple coneflower taken in my front garden on Pleasant Hill. 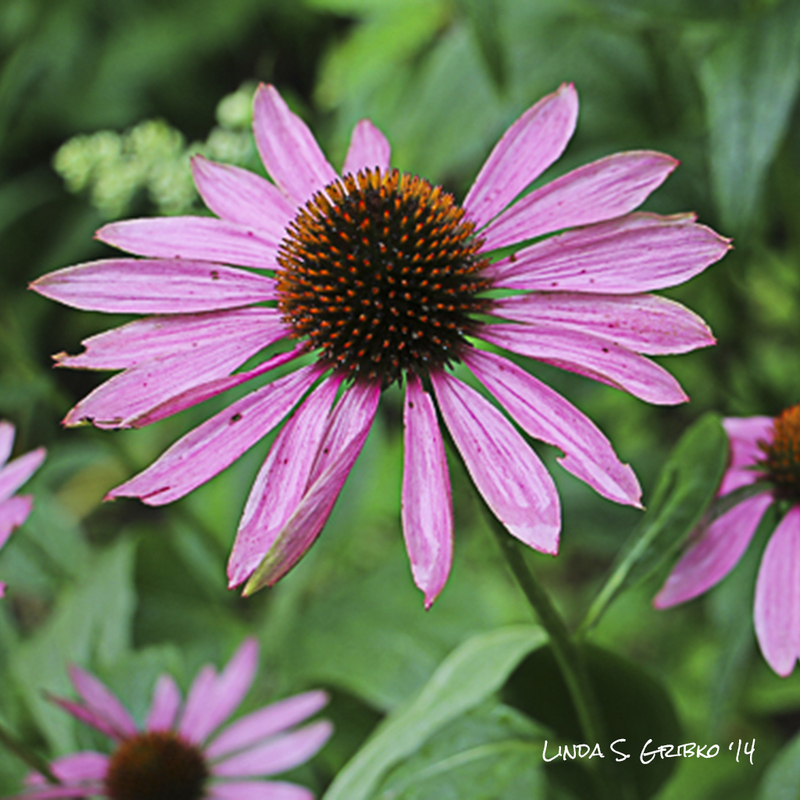 This piece is easily recognizable as a coneflower, but I added a little pop of love by using a notch in one of the petals to create a sweet miniature heart. 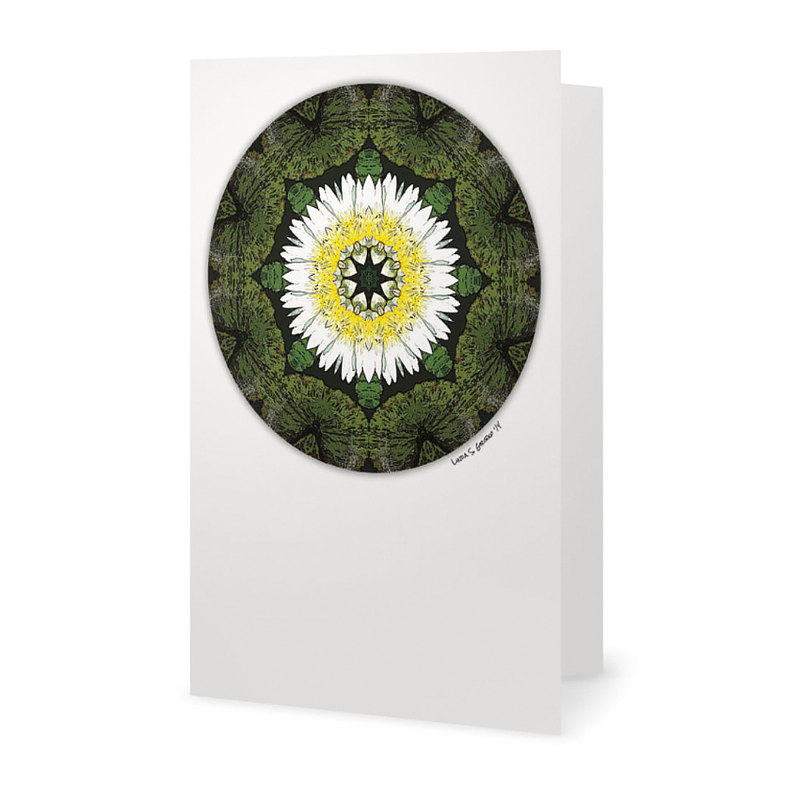 If you look carefully at the green leaves below the notched petal, you might recognize that the patterning in the green at the edge of the mandala is present in the original photo. I made that green richer and velvety by simplifying the color palette in that part of the piece. The effect is meant to evoke a crushed velvet box in which a treasure might be presented to a true love. 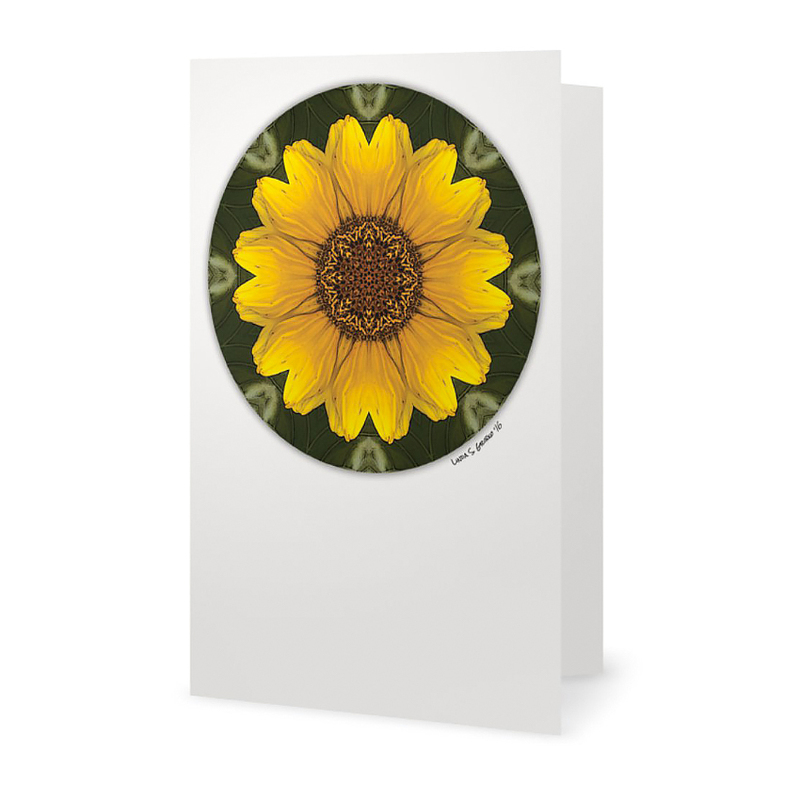 This blank card makes a wonderful Birthday, Mother’s Day, Valentine’s Day, Engagement, or Everyday card. 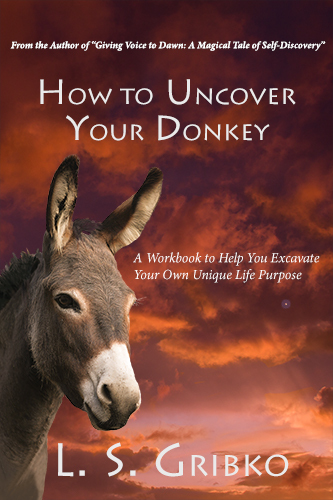 It’s 5″ wide and 7″ tall and is printed on premium 100 lb. white matte paper, suitable for framing. A white envelope is included. The original color photo and story of the piece are printed on the back of the card.